Much of the Saudi economy is dominated by family-owned conglomerates, such as the Olayan group, the Juffali group and the Al Muhaidib group, which have operated in the kingdom for decades but have generally chosen not to list their subsidiaries. Seeking to diversify the economy away from oil exports, the government wants to persuade such firms to list in order to improve their access to capital, reduce the burden on the banks financing them, and encourage better corporate governance. 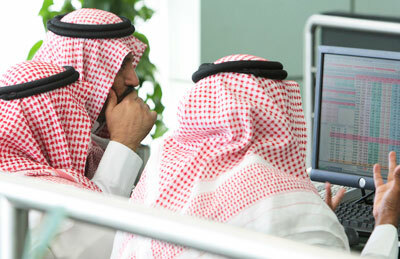 A presentation to securities firms by the Capital Market Authority and the Saudi Stock Exchange, seen by Reuters this week, shows regulators are proposing that companies with minimum capitalisations of SR10 million ($2.7 million) be allowed to list on the new market - 10 per cent of the capitalisation required for the main market. Companies would be permitted to float a minimum of 20 per cent of their shares and have as few as 50 public shareholders, compared to 30 per cent and 200 shareholders. To minimise speculative price swings, regulators said they would limit direct investors in the new market to institutions, excluding ordinary retail investors; institutional investors include government-related entities and "professional investors" with large portfolios and records of trading routinely. Other investors could tap into the market via mutual funds. The presentation did not say if the new market could include companies now traded on the main market, but specified that companies could move to the main market after trading for at least two years on the secondary. The document also showed the exchange planned to launch a new index for the top blue-chip stocks trading on the main market.